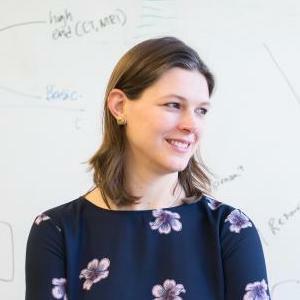 Georgina Campbell Flatter is a Senior Lecturer in Technological Innovation, Entrepreneurship, and Strategic Management at the MIT Sloan School of Management and the Executive Director of the MIT Legatum Center for Development and Entrepreneurship. In her role as Director and Lecturer, she works to create and implement educational programming and curricula for MIT students who are building and scaling sustainable ventures across the developing world. Flatter has been emerged in, and an active contributor to, MIT’s innovation ecosystem for over ten years through her roles as Executive Director of MIT’s Regional Entrepreneurship Acceleration Program (REAP), Director and Lecturer of the XPRIZE Lab @ MIT and, as a student, a researcher at the Langer Lab, and Managing Director of the MIT Clean Energy Prize. She has also led several innovation projects at the World Bank and worked as a research associate at a renewable fuels spinout from MIT. Flatter earned an MEng in materials science from the University of Oxford and an SM in Technology and Policy from MIT.